What is important is variety and regional diversity: craft beer is making everything the same, everywhere. It emerged to challenge industrial pale lager’s hegemony by allowing customers to access a whole world of other flavours - but it appears to be on the way to creating a market that is almost as monocultural. I appreciate being able to get what I want to drink in London, from IPA to witbier, but it’d be better if there was more that spoke specifically of London. What is the point of craft beer if what you get in Strasbourg tastes largely the same as what you drink in Glasgow? Mikkeller is opening a new bar in Paris later this month; Brewdog has dozens already. This is not exciting. Regional variety is exciting. All too often, craft’s appeal seems to be that you can now have a Five Guys and not just a McDonald’s, while conveniently ignoring all the chip shops that have closed down. The shine has decisively gone off craft beer, and its previous calling card - It’s innovative! It’s new! - is all used up. (That’s why the scenesters are moving on to natural wine: it’s exciting and new and when it gets dull … well, there’ll be something else along in a few years.) The interesting stuff is happening at the fringes - coolships, barrel-aging - and the obsession with intense hop-dosed beers is dragging what remains away from the mainstream, deep into trainspotter territory. He suggests that part of the reaction is “the fetishisation of ales like Landlord and Sussex Best”. However, I’d argue this is very limited and in general tends to be no more than paying lip service to tradition. “Oh, I really like some of those real ales”. But the trail rapidly goes cold beyond a few familiar names, and I see precious little evidence of enthusiasts actively seeking out these classic British ales on their home turf, in the way that CAMRA members did in its early years. I was rather amused by the latest Foster’s ad which pokes fun at beer snobs and their liking for “fancy pants beers”. Note the sandpapering of the cricket ball. I can’t locate the story, but I remember reading a few years back about how a mainstream lager was successfully passed off as a craft blonde beer at a beer festival in Ireland. It has certainly happened in Australia. 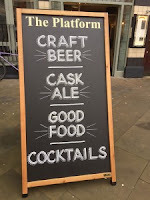 You often nowadays see “craft” and “cask” being treated as two entirely separate and mutually exclusive categories, both in discussion about beer and in publicity material. 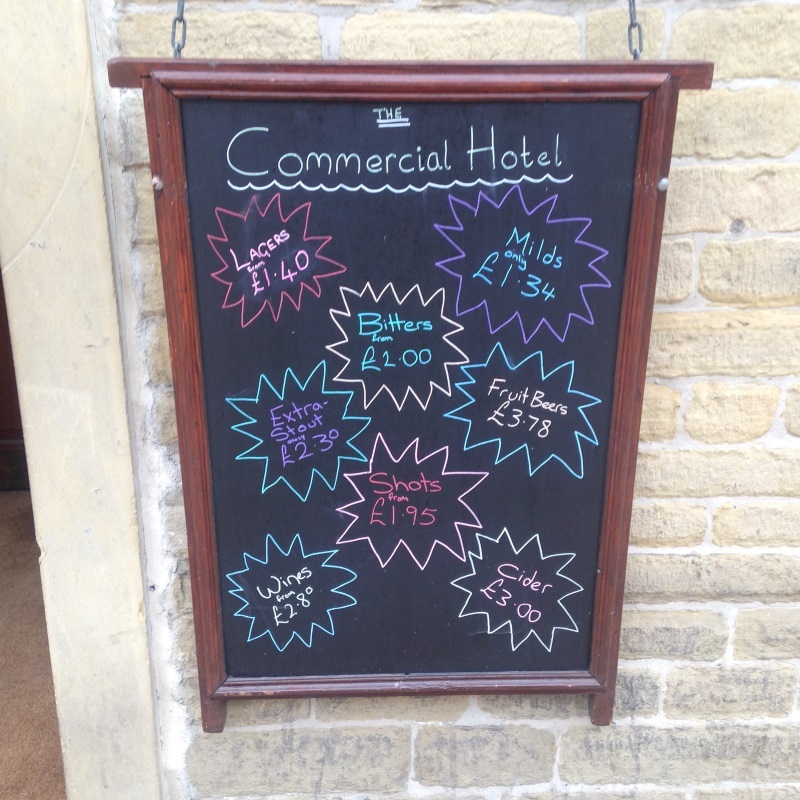 The pub advertising board shown at the right is a typical example. On the face of it, this seems nonsensical, as surely much cask beer ideally fits the textbook definition of craft production as small-scale and handcrafted. However, the way it has arisen stems from the way the term “craft”, in a beer context, was borrowed from the USA. As I described here, in that country the existing tradition of small-scale, regional brewing had largely died out by the early 1970s, so what began as the microbrewery movement, and later metamorphosed into craft, was starting with a clean slate, and could concentrate all its efforts on differentiating itself from “big beer”. The UK, though, was different, as it had preserved a substantial stratum of small and medium-sized breweries majoring on its own unique ale-brewing tradition, and had a further layer of newer microbreweries on top of this. But when the craft beer movement was transplanted from across the Atlantic in the 2000s, it decided to set out its stall in opposition to this existing tradition rather than the industry giants. Real ale, much more so than international lager, was what they were not. Real ale culture was seen as fuddy-duddy, narrow-minded and inward-looking, whereas craft beer was modern, youthful, dynamic and international. This was most marked in BrewDog’s PR schtick, but it extended much more widely than that. And a key point of that differentiation was that craft brewers produced modern keg beers which, we were assured, were nothing like Red Barrel. This division wasn’t entirely one-sided, and many real ale supporters have been critical of craft beer, but the initial impetus for it very much came from the craft side. This is underlined by the dimissive attitude many craft enthusiasts take towards the independent family brewers, who for many years were the principal standard-bearers of quality beer in this country. Of course, many of what are considered as craft brewers do produce cask beers, and some major on it, but the cultural connotations of the two concepts remain diametrically opposed, and that is why they have become established in the public mind as mutually exclusive categories. Craft beer, essentially, is fashionable beer that does not carry the baggage of either real ale or mainstream lager. Although sections of the beer commentariat may rail against it, it must be recognised that many of the products regarded by the drinking public as “craft” are in fact owned by the international brewers, to a much greater extent than real ales, and this has only been intensified by the big brewers’ craft acquisitions of recent years. And, if the US definition of craft (which has more to do with company size and independence than type of product) was extrapolated across the Atlantic, the likes of Greene King and Marston’s would certainly quality. They are smaller in terms of market share than Boston Brewing and Sierra Nevada are the USA. It’s also noticeable how, in other countries with long-established brewing traditions such as Belgium and Germany, craft beer is usually taken to mean something different from their own indigenous styles, and very often is an international-style, heavily hopped IPA. As I said in the article I linked to above, real ale, and other countries’ own individual styles, is beer from somewhere, craft is beer from anywhere. It was disappointing, to say the least, that, earlier today, a motion supporting minimum alcohol pricing was passed at CAMRA’s National Conference in Dundee. A similar policy had been struck down a few years ago following a motion proposed by Peter Alexander aka Tandleman, who argued that it represented “being on the wrong side of the debate”. However, it has now risen again from the dead. I have set out the case against this in several magazine columns over the years, in April 2012, April 2013 and May last year, so I don’t propose to reiterate the arguments in detail. It’s fundamentally objectionable as it represents “prohibition by price”. It won’t do anything to boost the pub trade, and won’t give anyone a single extra penny to spend in pubs. There is also the distinct possibility that any increase over the current Scottish level of 50p per unit will start to hit the cheaper end of the pub trade. And this stance comes across as distinctly hypocritical when CAMRA is handing out vouchers for 50p off a pint in Wetherspoon’s which could easily take the price of stronger beers below the Scottish minimum. As with the support given by the Scottish Licensed Trade Association, this comes across as a nihilistic, dog-in-the-manger lashing out at parts of the drinks trade CAMRA doesn’t particularly approve of. But, as alcohol industry commentator Paul Chase points out here, you can’t pick and choose from the anti-drink agenda. I've written more about MUP than any other alcohol issue. How can CAMRA members be so blind? The Temperance lobby agenda isn't an a la carte menu from which u choose the measures u like & reject the ones u dislike, it comes as a package. Utterly stupid. The anti-drink lobby represents an existential threat to everything CAMRA holds dear. They only claim to support pubs over off-trade drinking because it suits their purposes at a particular time. By trying to cherry-pick from their policy proposals, CAMRA are allowing themselves to become their useful idiots. As Churchill famously said “an appeaser is one who feeds the crocodile, hoping it will eat him last”. I’ve been a member of CAMRA for thirty-eight years, for most of that period as a Life Member. I’ve done thousands of hours of unpaid work for it. When I took up Life Membership, at a bargain price available at the time, a friend made the point that he wouldn’t do so, as it removed the potential sanction of resigning, if the organisation took a policy stance he strongly disagreed with. To jack it in would clearly be an exercise in cutting off my nose to spite my face, and ironically would actually save CAMRA money. But if I was an annual member, I’d certainly think long and hard about whether it was worth renewing, and it makes me much less inclined to lift a finger to help the organisation except out of loyalty to friends. One consolation is that, in practice, CAMRA is unlikely to actually do very much to pursue such a policy and, judging by the reaction on Twitter, many local branches will be disinclined to lift a finger. It’s also worth noting that the motion was passed by 264 to 148, a total of 412 votes. That’s less than a quarter of one percent of CAMRA’s total membership. Is it really acceptable in this wired and connected age for such important policy decisions to be taken by such a tiny and unrepresentative group? This week, the Morning Advertiser reported on the state of the cask market. Taking the continued commitment of CAMRA, and the re-entry of fashionable brewers such as BrewDog and Cloudwater, into account, it pronounced the overall result “a mixed bag”. However, in reality, it’s no more a mixed bag than the proverbial curate’s egg was actually “good in parts”. The key statistic is buried half-way down the page, that in the year to January 2019, the total cask market accounted for 2.4 million hectolitres, which is 1.466 million barrels. This represents a volume decline of over 10% compared with the previous year. Given that, according to the British Beer & Pub Association, the total on-trade beer market in 2018 was 12.651 million barrels, that means that cask barely accounts for 1 in 9 pints sold, compared with 1 in 6 only a few years ago. And that decline, while depressing in itself, contributes towards one of cask’s key problems. CAMRA’s WhatPub site states that there are 35,574 pubs in the UK serving cask beer. Even discounting clubs and beer festivals, that means that each pub only accounts for 41.2 barrels a year, or a mere 228 pints a week. That means that, assuming a pub gets its beer in the usual 9-gallon firkins, it will only be able to keep two cask lines in decent condition, whereas simple observation suggests that the average is a lot more than that. When it’s fresh, and bursting with flavour and condition, cask can be great. But when it’s past its best, it can be distinctly underwhelming, and hardly a good advertisement for the category. So this creates a vicious circle, whereby poor pints put people off drinking it, thus contributing to even more poor pints. Everybody in the industry knows that over-ranging is a massive problem, but nobody is prepared to act alone for fear of being the person who blinked first and thus lost trade to the competition. There’s also a widespread perception that many drinkers knowingly put choice ahead of consistent quality: if one pint isn’t up to much, they just write it off to experience and move on to something else. Cask also does itself no favours by making the category difficult to understand. A couple of weeks ago, I had a wander round a few pubs on the south side of Manchester city centre. All of these were pubco outlets, and none could really be described as specifically pitched to enthusiasts. The average number of cask lines was five, and in every one you were confronted with a seemingly random array of mostly unfamiliar beers. If someone like me, who is probably in the top 1% of beer drinkers in terms of being knowledgeable about the industry, has to ponder what might be to his liking, what chance has the average drinker? If you are a lager drinker, in pretty much every pub you go in apart from the narrowly enthusiast-focused ones, you will see at least two or three recognisable brands on the bar and know what to expect, but if you are a cask drinker, you are expected to take pot luck. The most recent annual Cask Report said that 84% of drinkers wanted to see at least one well-known cask brand on the bar, but many pubs deliberately avoid that. That is not to say that pubs should not have varying guest beers too, but having a core of familiar beers that are regularly on makes the category more accessible and may help develop a reputation as somewhere worth visiting precisely because it does stock a particular beer. I wrote about this in detail last year in a post entitled The Cask Crisis. There are no simple answers, especially in a fragmented and dog-eat-dog marketplace where it is all too easy to lose ground to competitors. Most of us reading this will be well aware of pubs that do manage to produce consistently good beer, and choose our drinking destinations accordingly, but the battle for cask will not be won by preaching to the converted but by winning over the marginal drinkers who are all too easily put off by stale beers they’ve never heard of. In the past, I’ve often praised the way Sam Smith’s preserve a traditional, cosy atmosphere of pub conviviality and conversation in a way that sets them apart from any of their competitors. In a Sam’s pub, you’re likely to find comfortable bench seating and a real fire, but you won’t find any TV sport or piped music and, while many do serve food, it isn’t allowed to dominate to the exclusion of all else, and you’re unlikely to suffer screaming children running around. 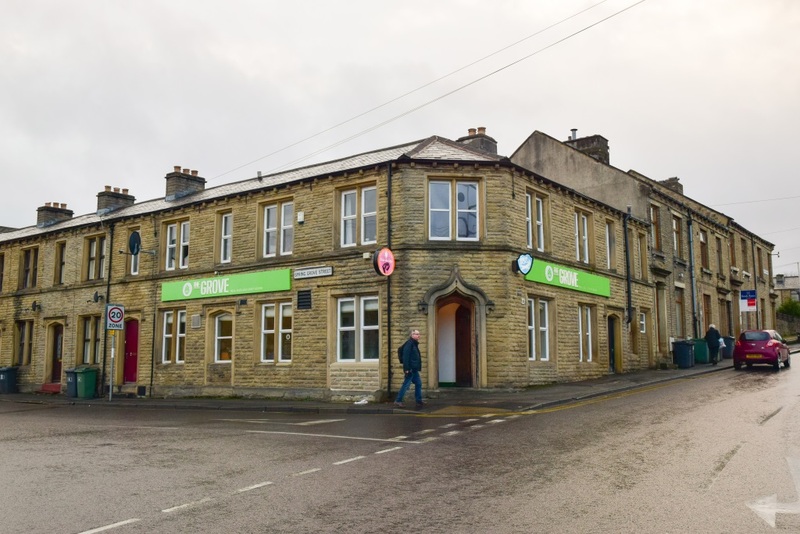 Much of this has been achieved by pursuing policies that come across as distinctly idiosyncratic, to say the least, but in the right location, combined with very competitive prices, it certainly does work, and results in some extremely busy and bustling pubs. But, in the past couple of years, there has been a feeling that some of the diktats emanating from Tadcaster are beginning to lose touch with reality. First came the swearing ban. 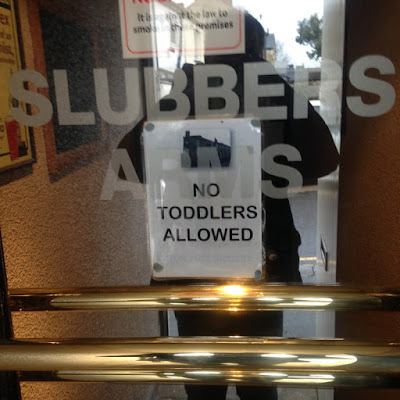 Now, most people don’t want to walk into a pub and be confronted with a wave of effing and blinding. However, surely it is something best left to individual licensees rather than being the subject of an edict from head office. 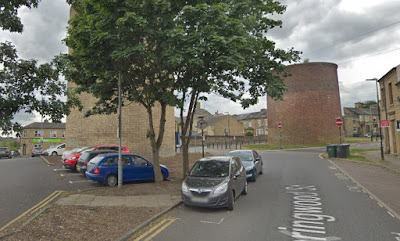 It’s hard to define precisely and very difficult to enforce – away from the bar, one of the Sam’s pubs I visit still must be about the sweariest place in the locality. Then, last Autumn, came a ban on taking card payments, so the pubs were cash only. In practice, even before, there had been a minimum spend of £20, so it only applied to groups who were eating and had no impact on drinkers. This was prompted by the EU making it illegal to impose surcharges on card payments. However, it seems perverse to turn potential business away, and I have seen groups come in to Sam’s pubs and be nonplussed that they can’t pay for a meal with a card. When they were first introduced, mobile phones were widely derided as fashion accessories for yuppies who would shout “OK yah!” and “I’m on the train!” into them. However, like it or not, they have now become an integral part of modern life, and only a small minority of adults don’t possess one. This is especially true following the widespread takeup of smartphones over the past decade. Perhaps it’s not that unreasonable to discourage people from holding loud phone conversations in the pub, or from listening to music or sports commentaries on their devices. But using a phone to browse the Internet in silence is little different in principle from reading the newspaper, and whether this is also prohibited is not entirely made clear. 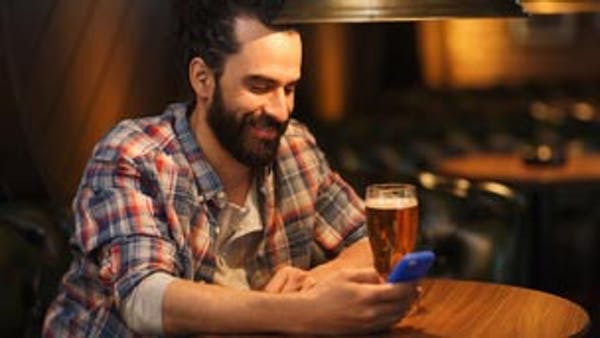 Indeed the solo drinker might well now be more likely to check their phone than to read the paper. And many a pub debate is resolved by consulting Wikipedia to check the facts. It may be hard for Humphrey Smith to comprehend, but plenty of 73-year-old blokes in Yorkshire now have smartphones. Like the swearing ban, this policy poses an obvious issue of enforceability, and also has the potential to seriously sour relations between customers and staff if there is any serious attempt to ensure it is adhered to. What may before have come across as a laudable desire to plough your own furrow could now have turned into shooting yourself in the foot. Last weekend, I was in one Sam Smith’s pub where I was browsing on my phone, and the licensee came round collecting glasses, but didn’t say a word. And, in another one, the licensee himself was standing behind the bar checking his phone. In one that I sometimes go in there’s no signal inside the pub anyway, so it won’t make any difference. It’s also worth noting that both the cash-only policy and the mobile phone ban only apply in Sam’s Northern region. Maybe a little more commercial reality intrudes in the South, or it is viewed as a place of irretrievable decadence. Or, possibly, those pubs are too distant for Humphrey Smith to make a sudden unannounced visit. Takeovers of up-and-coming craft breweries by international brewers have now become so commonplace that they no longer produce the gasps of amazement that they once did. The latest is Magic Rock of Huddersfield, where ironically we were only three weeks ago. They have been bought by antipodean firm Lion Global Markets, who up to now had no foothold in the UK. Sadly, individual freedom and expansion do not live together, and this is abundantly clear to anybody who had created success by his own efforts and who sells out that success, reaping the financial benefit, and then stays on to manage for his purchaser. It never works out, and if there is apparent harmony it is because he has surrendered his freedom in deference to the advantage to be gained from being part of a huge organisation, and he will fade. I once saw Richard Burhouse speak in a “Beer Debate” at the Manchester Beer & Cider Festival, and nobody seems to have a bad word to say about him. I’m certainly not one to be crying “betrayal” over this news, and my reaction is more one of congratulating him on having grown his company to the point where he can enjoy a lucrative payday from a multinational company. But surely the time will come when he decides that he would prefer to exercise his freedom in pastures new, or when he has had to endure one corporate instruction too many. And, after he has gone, who will be there to replace him with the same spirit of adventure and innovation? 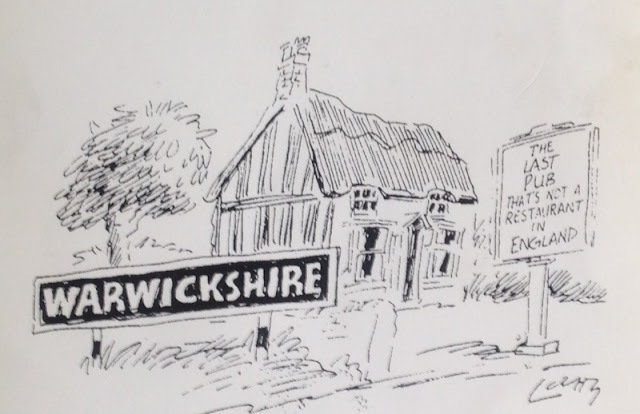 In the 1950s and 60s, the period Avis was describing, unsuccessful or stagnant breweries were taken over for their tied estates. In the 2010s, in complete contrast, successful breweries are taken over for their brands. But, at the end of the day, are the international brewers essentially acquiring a wasting asset? Breweries like Magic Rock have no tied pubs, no widely-recognised brands, simply a reputation for being cool and cutting-edge. And that is something unlikely to thrive for long in a corporate culture. 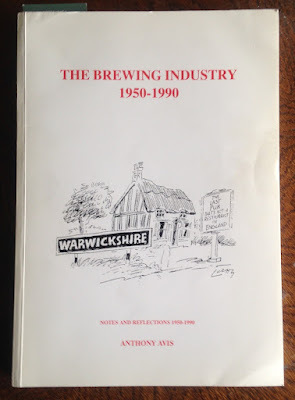 The mention in my account of our trip to Huddersfield of the Sportsman pub, which had been built by local brewer Seth Senior in 1930, prompted me to revisit The Brewing Industry 1950-1990 by Anthony Avis. This is a large-format book of 274 pages, privately printed in 1997, of which my copy is Number 158 of a limited print run of 200. Anthony Avis was born in Norfolk in 1927, and joined the ambitious Hammonds brewery company of Bradford in 1956. 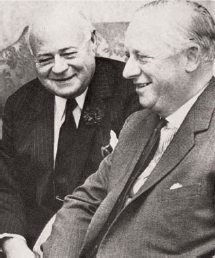 Through a sequence of mergers and acquisitions this eventually became part of the mighty Bass Charrington empire, with whom he enjoyed a long career in senior management roles until his retirement in 1987. The book is a combination of an account of his own experiences and wider reflections on the brewing industry in general. There is indeed a chapter on Seth Senior, who owned a model brewery at Shepley, a few miles south of Huddersfield. The company provided houses in the village for its workforce, and also owned several farms and even a grouse moor. It was taken over by Hammonds in 1946, with an estate of a hundred pubs, upon which the workforce went on strike as a measure of desperation. They were mollified by Harry Bradfer-Lawrence, the chairman of Hammonds, but needless to say the brewery was closed within a few years. Avis grew up in a pub in Norfolk, so he had a connection with the trade from an early age. He describes the primitive state of many of the rural pubs, and says of the local beers “All the Norwich brewed beers, before and after the last war, were much the same – thin, flat and lifeless; however, they suited, or appeared to suit, the customers.” He qualified as a solicitor, and joined Hammonds as Assistant Company Secretary through a family connection with Bradfer-Lawrence, who was a very dominant figure in the company. He is always referred to in the book by his initials as “HLBL”, something common at the time but which has now largely passed out of common usage. Most of the characters encountered in the book get a similar treatment, so it can be difficult to follow who is who. He paints a vivid picture of Bradford in the 1950s, when it was a bustling, prosperous city and centre of the wool trade, the streets busy with heavily-laden lorries carrying bales of wool. He also describes how the directors of Hammonds would decamp in a chauffeur-driven Bentley to take their lunch in the dining room of the Alexandra Hotel in the city centre, a scene that really does belong to a vanished world. Hammonds was a large and ambitious company, and by the end of the 1950s had acquired over 1,000 pubs through a series of takeovers. 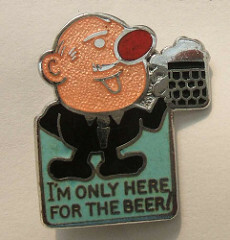 However, HLBL had by then entered his seventies, and in 1959 the company was taken over by Northern United Breweries. This was a vehicle set up by Canadian entrepreneur E. P. “Eddie” Taylor to promote the sales of Carling Black Label lager in the UK. Over the following years, there was a frantic sequence of brewery takeovers across the North of England, Scotland and South Wales, culminating in 1962 with a merger with the venerable London-based Charrington firm to form a national conglomerate called Charrington United Breweries. This in turn merged with Bass, Mitchells & Butlers in 1967 to create the Bass Charrington behemoth, familiar to drinkers from the first two decades of CAMRA as the biggest and most high-handed of the “Big Six” national brewers. Although he was still only his his early thirties, Avis played a key role in closing these deals and assimilating the acquired breweries into the corporate fold. The most interesting passages in the book concern his experiences in getting to grips with a variety of companies with very different cultures and idiosyncracies. He says “by this time I am sure I had acquired the reputation of the undertaker’s assistant, sent to measure up the corpse” and describes feeling like the leaders of victors in war having to treat with the defeated. The miscellany of independent breweries still in existence in the 1950s may encourage nostalgic feeling, but in reality many of them had been allowed to stagnate and were in effect running on empty. It was a time of declining beer sales, with the rise of television being often held to blame, and there was little capital available to upgrade either pubs or brewing plant. Chronic yeast infections were commonplace, and Avis says of one company that its pubs only seemed to be held together by the thick coat of whitewash that was applied every year. In many cases, the founding families had retreated from any active involvement in the business, leaving the day-to-day running to professional managers, who could either be just interested in economising and keeping the place ticking over, or in some cases treating it as a personal fiefdom and acting as though they owned the place. It must be remembered that all of these takeovers were agreed by the owners – there were no hostile bids. In retrospect, one of the key distinguishing features of those family brewers who retained their independence through the 1950s and 60s must have been been continued family involvement. Nowhere was this general torpor better exemplified than in Offilers of Derby which, despite being a substantial company with 240 pubs, was “one of the sleepiest breweries I had so far experienced, even in an era of comatose management.” This was where one of the directors had purchased a chain of small hotels in and around the city in order to set up his various lady friends in business. In one brewery, Avis expressed surprise at the large number of different brews produced for the small overall volume, only to be told be the head brewer that they were basically all the same, some darkened by the use of caramel, and some, at a time when there was no requirement to declare alcoholic strength, simply labelled as strong, ordinary or light. Another firm seemed to be unusually cost-efficient, only for it to turn out that the walls of the fermenting vessels were so thin that they bulged when full, meaning that more beer was being produced than was being declared to the exciseman, who was using the nominal dimensions. Not surprisingly, the general climate in the brewing trade in the 1950s was a pretty boozy one, and it is perhaps hard to appreciate that, back then, per capita alcohol consumption in the UK was only half what it is now. However, at that time the amount of alcohol sold in the off-trade was very small, the proportion of beer in the total was much higher, while drinking amongst women was much lower. This meant that pubs, even though trade slowly declined through the 1950s, were much busier than they are now. Most of the directors and managers learned to cope with the drinking culture, but one who unfortunately didn’t was Tudwal Roberts, the company secretary of the small Barrow-in-Furness brewery of R. F. Case. 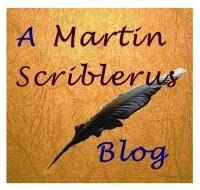 He had sadly become a hopeless alcoholic, and Avis describes a meeting with him during which, without a word, he got up, opened a drawer in a filing cabinet, took out an open bottle of red wine, poured a glass full, downed it in one, and then returned to his desk as though nothing had happened. Avis also recounts a couple of the less successful episodes of Hammonds’ own history. In 1957 they recruited a hot-shot sales manager from outside the industry who decided to do a big sales push on the well-regarded Guards Ale, in the manner of other consumer goods companies. However, he failed to understand that it was a strong barley wine that essentially was only a winter product, and the company ended up being left with six months’ unsold stock. Then, in the early 1960s, they decided to convert all their pubs in the Bradford area to tank beer, following the successful example of Cornbrook. However, the project was rushed, the equipment was substandard and it was applied to all pubs, including low-barrelage ones to which it was unsuited. Pubs found the beer fobbing uncontrollably and ended up having to beat the tanks with broom handles to dissipate the CO2. The tanks started corroding and leaking, and pubs ended up selling cloudy and infected beer, whereas the whole point of the system was to produce more consistent quality. It took a couple of years before all the problems were resolved, and dealt a lasting blow to the company’s reputation in the area. Although most of the detail concerns breweries that were acquired by Hammonds and their successors, Avis also describes visits to rival companies. He was particularly impressed by the efficiency and well-ordered plant of Tetley’s in Leeds, then the dominant brewers in the West Riding. He praises Samuel Smith’s for being an “exemplar among the smaller brewery companies”, and says “The custom is aimed at the older person, who relishes a good pint, with home-produced food if he wants it, and the surroundings to sit down and talk with his companions in unfashionable comfort – just like the brewery industry advertising of forty years ago represented pubs to be”. "The last pub that's not a restuarant in England"
Avis expresses regret that the brewers undermined the traditional tenancy system which had worked so well for decades. Turning over the larger and more successful pubs to management removed the opportunity for a good tenant to progress through the ranks over the years. He also criticises the brewers for pursuing various fads which may have seemed a good idea at the time, but for which there was no customer demand and which served to alienate the existing pubgoing population. This is particularly in relation to the 1960s enthusiasm for “theme pubs”, but it continues to apply to many aspects of the present-day pub experience. One thing that is missing from the book is much discussion of the branding and marketing of beer and pubs. Avis’ legal background meant that he was mainly interested in deal-making and property management, and so this area tends to be neglected. It would be very interesting to know to what extent the pubs belonging to acquired brewers such as Cornbrook in Manchester and Catterall & Swarbrick in Blackpool were rebranded by CUB, and whether the identities of their beers were changed. Of course, once Bass Charrington came into being, it imposed a ruthless corporate identity scheme across its empire. Despite being at the heart of the process, Avis does not give any general overview of E. P. Taylor’s acquisition spree which was at its height between 1959 and 1962, nor does he provide any pen portrait of the man himself. Strangely, even though he was responsible for a transformation of the British brewing industry, his Wikipedia entry makes no mention of this whatsoever, instead primarily crediting him with being the inventor of the gated housing development. In contrast, he has plenty to say about the autocratic Alan Walker, who came from Mitchells & Butlers to become the first chairman of Bass Charrington, and he doesn’t give the impression of having much time for him. While his name seems appropriate for the image of the classless, dynamic businessman of the 1960s, in fact his first name was Horace, so he is generally referred to as HAW in the book. The small photo above shows Taylor on the left and Walker on the right, taken at the time of the merger in 1967. Despite being nine years older, Taylor in fact considerably outlived Walker. A project by which no doubt Walker hoped to be remembered was the giant Runcorn brewery, which was opened in 1974 to replace a number of smaller breweries in the North-West and Wales. However, it never fulfilled its hopes, being bedevilled by poor industrial relations and serving to disprove the claim that it is possible to brew any beer anywhere. It eventually closed in 1991 after a mere seventeen years of operation, and turned out to be a monument to hubris rather than a lasting memorial. The most interesting part of the book is the first two-thirds which concerns the various breweries that the author was involved with, either as takeover targets or run by rival firms. The final third covers more general topics ranging from brewery accounting systems through company histories to the use of corporate aviation by the big brewers, which is always interesting, but never grabs the attention to quite the same extent as the earlier part. 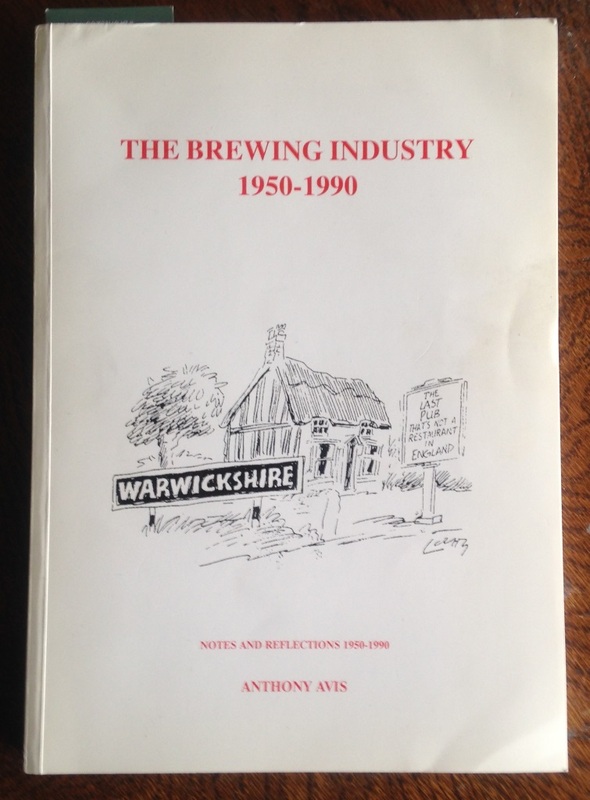 Although he was responsible for many hard-nosed business decisions, Anthony Avis comes across from the book as a thoughtful, humane man who genuinely cared for the traditions of the brewing industry. This appears to be an obituary from 2004, so sadly it would seem that he is no longer with us, although he would now be 92. If there is any lesson to be learned from his book, it is that, while many changes may be regrettable, change itself is a constant element in human life. And E. P. Taylor’s lasting memorial is that Carling (now without the Black Label), which he brought here from Canada sixty years ago, has been for many years the best-selling beer in Britain. Incidentally, as this was a private publication with a limited print run, it doesn’t look as though any copies are readily available from internet sellers, although I believe that there are PDF copies circulating. ...they often had primitive toilets, no proper beer cellars, no bar counters, and no proper washing up facilities. Now this strikes me as, in several respects, remarkably similar to present-day micropubs, especially those closely following the authentic Herne model. If you asked most people about their reasons for choosing a particular pub, they would list factors such as the company, a relaxing atmosphere, food, watching TV sports, playing pub games or quizzes, or even simply because it’s convenient to get there. But few would say that it was because it sold a specific beer, or range of beers. Yes, beer does matter – they will choose between different beers on the bar, and the beer selection may influence a marginal decision between one pub and other. But few would visit a pub they otherwise didn’t like purely because they liked the beer. However, if you are what might be called a “beer enthusiast”, obviously the balance of decision-making shifts in the direction of beer. Just how far was tested in a couple of recent polls carried out by Tandleman and myself. On the face of it, these seemed to produce contradictory results, with Tandleman’s poll showing 67% favouring “a fantastic pub” over “a fantastic beer”, while mine, which asked a somewhat different question, said 65% favouring “great beer, dull pub” over the opposite. I then ran a poll on my blog which, with a smaller sample size, came up with one of those pesky 52-48 results in favour of pub over beer. The comments on that poll can be viewed here. There are an awful lot of people who will sit on padded kegs in a cramped, freezing metal shed if they think the beer is sufficiently awesome. They're welcome to it, but it's not for me. However, the simple fact that you are in like-minded company will make you feel at home – a pub being congenial is about far more than just its physical design. I recall someone in my local branch of CAMRA saying “I don’t care what the pub’s like so long as the beer is good”, but you do have to wonder just how many aspects of what he would regard as “pub hell” he would be prepared to endure just to have a pint he liked. Of course, in general, the pubs that offer beer that appeals to enthusiasts don’t tend to have the features that would really put them off, so the conflict of interest doesn’t arise. 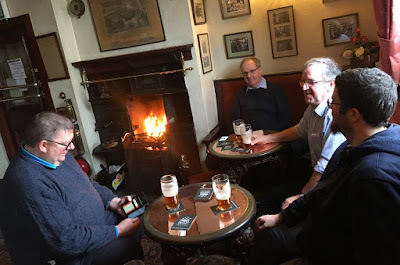 It’s sometimes suggested that, in the early days, CAMRA members would often make a point about going in unappealing pubs purely because of the beer. There was some truth in this, especially in areas where the only place real ale could be found was a grotty dump, but the mere fact that a pub is plain and basic doesn’t mean you won’t feel at home there. The truly threatening pubs wouldn’t tend to get much recognition, or indeed many visits. And the other side of the coin was that, far more so back then than now, many attractive pubs that outwardly ticked all the boxes were distinctly cliquey, and you wouldn’t be made welcome if you didn’t fit in. Dull beer, great pub. Can’t emphasise enough how much difference a comfortable, welcoming, great looking pub makes. I will happily drink whatever is there if the setting is right, on many occasions I’ve been so impressed by the pub that the beer was irrelevant overall. Forty years ago, I was certainly keen to seek out unusual brews, but that was very much a question of finding them in their natural habitat, not the present-day random selection of beers you’ve never heard of that you’ll never get the chance to try again. And that doesn’t apply if you’re just looking for somewhere to have a drink in your local area. I’ve been fortunate that I’ve always lived in places where there has been a good choice of decent beer in a variety of pubs so I’ve never been forced to make that choice between good pub and good beer. I’ve described my reasons for going to the pub rather than staying at home as “just to get a change of scene, relax, chill a bit, do some peoplewatching, get some mental stimulation”. Obviously I don’t want to drink bad beer, but that’s not my chief factor in deciding where to drink. I have mentioned before that I regularly visit some Sam Smith’s pubs, not because I think their beer stands out from others generally available in the area, but because their general ambiance makes me feel at home. If they decided to convert their OBB to keg, as some others have, then I might not go so often, but I certainly wouldn’t shun them. If I’m visiting a different area, my first thought is to consult the National Inventory of heritage pubs rather than check the Good Beer Guide for micropubs and brewery taps. At the end of the day, what makes an appealing pub is highly subjective, and varies enormously between different people. In practice, it’s very rare that people are confronted with a clear-cut choice, on their terms, between “good pub” and “good beer”. However, by putting the beer offer ahead of every other factor when choosing a pub, beer enthusiasts are further emphasising the gulf between them and the general pubgoing population. We pick up our visit to Huddersfield having left the Slubbers Arms and making our way back towards the town centre. Our next call was the Sportsman, a corner pub near the station in the shadow of the railway viaduct. It’s a handsome stone building, originally built by local brewer Seth Senior (what a name!) and then remodelled internally by Hammond’s of Bradford in the 1950s. 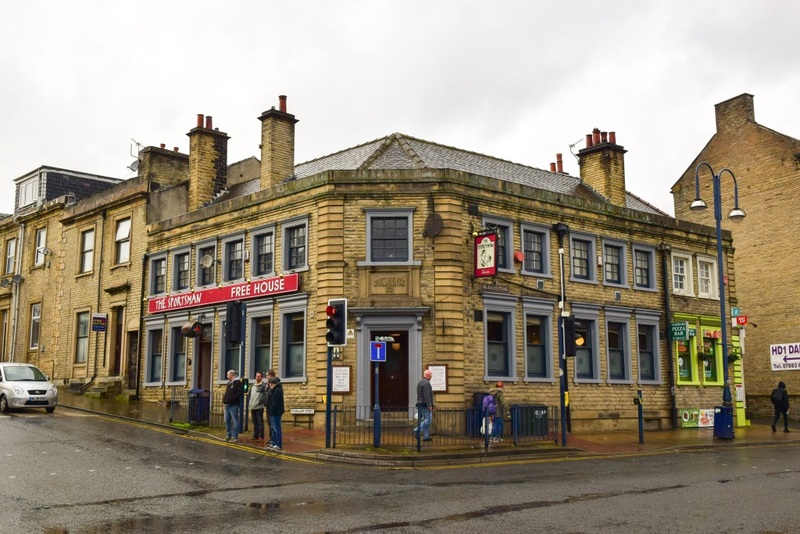 Hammonds, who eventually passed into the hands of Bass, became through takeovers by far the largest owners of pubs in Huddersfield. The interior is largely unspoilt, and merits a full entry on CAMRA’s National Inventory. The corner door gives access to a large main bar, with a parquet floor and an impressive curved counter. On either side are a couple of snugs with bench seating. There’s a separate entrance door by the one on the left, which may in the past have been divided from the main bar by a partition. On the wall were a collection of pub plans, although I was unable to get close enough to check whether they were of this particular pub. There were maybe eight or nine beers on the bar, including Boltmaker again, Great Heck Christopher and Buxton Downfall Citra. There then followed a rather stiff uphill walk in squally conditions to reach the Grove, the well-known multi-beer free house which overlooks the town centre from the western side. On the approach are a pair of rather sinister-looking windowless brick towers, which it turns out are ventilation shafts for the twin railway tunnels running underneath. It’s another corner pub, with a large bar on the left and a smaller, cosier one to the right. The decor is a mix between traditional and modern and quirky. Although it was late afternoon on a Tuesday, it was very busy. There was a bewildering array of about eighteen different cask beers, from which our selections included Beatnikz Republic Beach Bum, Oakham Citra and Harveys Armada. From such a long list it can be difficult on first look to choose something that will appeal. The pub is known for offering snacks of dried insects, but we managed to avoid the temptation. The conversation turned, as it often does, to the various ailments suffered by older people, but rather surprisingly one of the most impressive catalogues came from one of the younger members of the party still in his early forties. Fortunately it was downhill from here as we skirted the edge of the Inner Ring Road to reach the Rat & Ratchet, a large free-standing pub on the main road out to Sheffield. A long-standing free house, it is now owned by Ossett Brewery and also sells beers from its own on-site Rat Brewery. Although much opened out, it retains a spacious, rambling interior on different levels, and we managed to find a cosy corner in a room to the rear. There were about twelve different beers on the bar, from which we selected Ilkley Moor Bah’Rat, Black Rat, White Rat and Marshmallow Mild, all of which I think were all from their own brewery. The Marshmallow Mild certainly had a very distinctive sweet, silky flavour. I made a note of Rainbow’s “Since You’ve Been Gone” playing on the jukebox. We even managed to have a discussion about Brexit without coming to blows. The original plan had been to go on to the Star, which is a few minutes’ walk further south from the Rat &Ratchet, but as we were somewhat behind schedule, and it was a nasty, wet and and windy night, we decided to head back in the direction of the station. On the way, we passed the Commercial, which looked a lot busier than it had been seven hours before. The two pavilions on either side of the central block of the station are now both occupied by pubs – the Head of Steam on the left, and the King’s Head on the right, which is the one we chose. This, as befits its former role as a waiting room, is a large, echoey, high-ceilinged room with a smaller ante-room off to one side. Approaching 8 pm on Friday night, it was very busy, and we had to find a seat on the end of someone else’s table. Opposite us were two mature ladies, one of whom was drinking pints of cask, the other cans of Gold Label barley wine poured into a glass. There were about eight different beers on the bar, from which we chose Bradfield Farmer’s Blonde, Oakham Green Devil and Landlord. I then needed to catch my train home, but a couple stayed on for a curry in a nearby restaurant. In summary, this was an excellent day out, possibly the best of all of these we have done. Excursions beyond the Inner Ring Road in two directions meant that we must have walked at least three miles during the day, some of it up and down some pretty steep hills. The company was as stimulating as always, despite the absence of one or two usual suspects, and the beer quality uniformly good to excellent. Although most of the pubs had a lot of different beers on, the turnover in busy town-centre locations was obviously sufficient to keep them in good nick. We didn’t have a sub-standard pint all day. The one possible caveat was that the beer ranges tended to very much major on the pale and citrusy, so the choice of traditional balanced beers was rather more limited. Interestingly, the 1978 Good Beer Guide lists nine pubs under Huddersfield, but the only one visited on this day was the Commercial, which back then still just had Old Brewery Bitter, but on electric pump. And that’s not an entry in the current edition. Thanks again to Peter Allen for the photos of the Sportsman and the Grove. A reminder for those reading this on a mobile who can’t see the sidebar, please cast your vote in my new poll on whether you’re really more interested in the pub or beer experience in pubs. The walk down from the station involved passing three off-licences all advertising Polish beers almost next door to each other. The town centre features a wealth of handsome Victorian stone buildings, whose appearance has been much improved from the 1970s by cleaning away all the accumulated grime from coal smoke. Our meeting place was Sam Smith’s Commercial, a four-square, stone-built pub standing on the town’s main shopping street of New Street, but noticeably older than most of the surrounding buildings. Outside there was a blackboard advertising all the good-value beery delights to be found within. Is there any other pub operator in the country that routinely sells draught beer for as a little as £1.34 a pint? Inside, it has two cosy rooms with bench seating on either side of the front door, plus a longer room with a pool table at the back left running along the side of the bar. It’s one of the nicest Sam Smith’s interiors I’ve come across, and if I lived locally it would certainly become a regular haunt. As always, there was just the one cask beer available, Old Brewery Bitter, at the usual bargain price of £2 a pint, although one of our party chose to have the keg Extra Stout instead. At just after noon, the pub was fairly quiet, but I have previously written about the buzzing atmosphere of booze, blokes and banter later in the day. A short walk of no more than a couple of blocks brought us to the Albert on Victoria Lane, which had been included by virtue of its unspoilt National Inventory-listed interior. This aspect of it did not disappoint, with high ceilings and impressive wooden bar counters in both top and bottom rooms, the lower one being in a curved quadrant shape. However, as we expected, there was no real ale on, nor did it look as though there ever was any, and so we ended up with three halves of Carling and a glass of tap water, which actually only came to £3.45, suggesting a price of £2.30 a pint. Despite this, it was busy, and we stood for a few minutes until one of the drinkers in the lower room got up and left. Golf was showing on the numerous television screens, with the sound turned down, although nobody appeared to be watching. 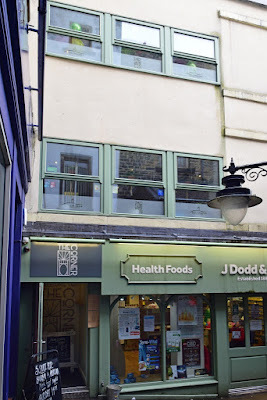 Our next venue provided a complete contrast in the form of Mallinson’s Corner on Market Walk. As the name suggests, it occupies a rather hard-to-spot corner site on a pedestrianised alleyway. 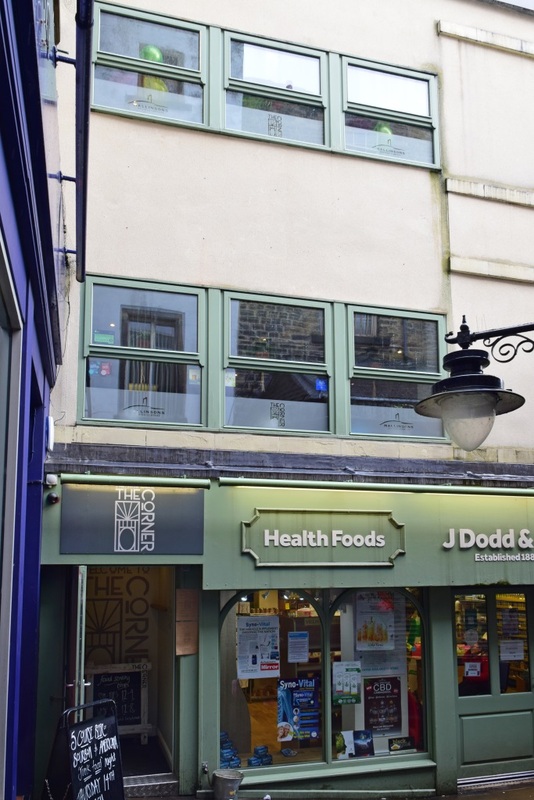 The inconspicuous door next to a health food shop opens on to a stairway that takes you up to an airy, square first-floor bar. While unashamedly modern in style, there’s a welcome absence of posing tables, and I quite liked it, finding it reminiscent of those first-floor restaurants above shops you used to see in town centres a generation ago. There’s also a spacious function room on the floor above, where you also have to ascend for the toilets. As well as a selection of craft kegs, there were six cask beers on the bar, including a mixture of Mallinson’s own and guests. There’s also a wide range of traditional ciders. Those we had included Blue Bee Triple Hop, Mallinson’s Wappy Nick and Wishbone* Tiller Pin. It offers a shortish food menu that isn’t just the usual pub suspects, from which we chose beef brisket baguettes and chicken kebabs with aioli. The food was good, although the presentation of the kebabs was a bit “We Want Plates”. We were told off for trying to order individually rather than as a group. It was busy, with a mixed crowd rather than just obviously craft beer fans, the food presumably being an attraction on a Friday lunchtime. There now followed a longish walk out beyond the Inner Ring Road and along the wide but quiet St John’s Road to the Magic Rock Brewery Tap, which the Good Beer Guide lists under “Birkby”, although it’s easily walkable from the town centre, and nearer than, say, the Blossoms from the centre of Stockport. This has become something of a place of pilgrimage for beer enthusiasts visiting Huddersfield, and the outside yard features a large amount of seating both outside and covered, plus a street food stall, to cater for weekend crowds. 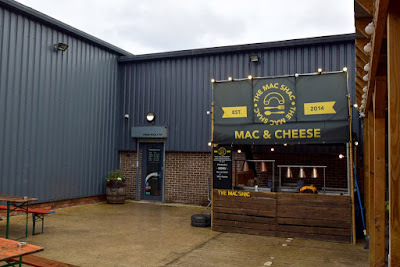 Inside, it’s an archetypal industrial-chic brewery tap, with high ceiling, bare walls, concrete floor and seating almost entirely comprised of posing tables, although we did manage to claim one of the two at normal level. The beer range included a large selection of craft kegs and six Magic Rock cask beers, from which we had Hat Trick, described as a “classic bitter”, and Common Ground Porter. Several very small children were brought in and, although they were well-behaved, this did strike me as somewhat selfish on the part of their parents given that no food was being served, so it was solely a drinking visit. To be honest, not at all my kind of place, but the quality and choice of the beer could not be faulted and it has to be visited as part of a trip like this. 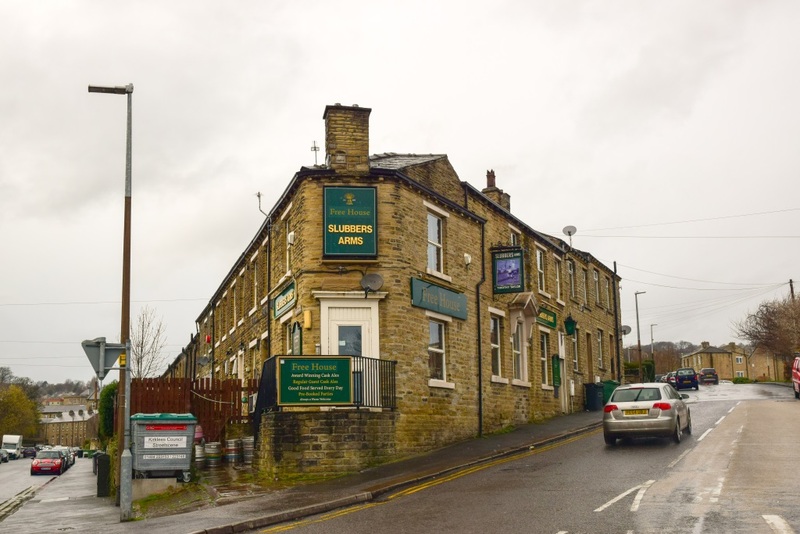 The same could certainly not be said of the Slubbers Arms, which occupies a triangular site on the corner of Willow Lane and Halifax Old Road. The name refers to a traditional wool treatment process. Now this was a proper pub and a half, with the sign on the door giving an indication of the atmosphere to be found within. The main part of the pub is two cosy sections on either side of a horseshoe bar, with bench seating and a real fire on each side. As it didn’t open until 3 pm, we were the first customers, so the fires had just been lit. There’s also a small separate snug in the apex of the building that could be closed off for private meetings. There was a piano in the small ante-room leaing to the toilets. Bizarrely, this pub appears in the Good Beer Guide under “Hillhouse”, even though it’s only five minutes’ walk from Magic Rock. Now a free house, it was formerly a Taylor’s tied pub, and the beer range still centres on Boltmaker and Landlord, together with, on this occasion, Heritage Tremendous and Victoria Pale Ale, and Draycott Lamb & Flag. Interestingly, the three guest beers were all from Staffordshire. The photo, taken by Alex (aka Quosh) shows the assembled company, and the by now blazing fire. All the pints are either Boltmaker or Landlord – just look at those lacings! Definitely the highlight of the day for me, although there were several more excellent pubs to come later, which I will cover in the second instalment. Thanks to Peter Allen of Pubs Then And Now for the photos of the Corner and Magic Rock and the exterior of the Slubbers Arms. Incidentally, I haven’t made any comment on beer quality, as all of it ranged between good and excellent. We didn’t have a single sub-standard pint all day. * Incidentally, Wishbone Brewery spectacularly shot themselves in the foot on Twitter by referring to the Carling brewery, featured in the recent TV documentary, as a “piss factory”. While I help run my local one, I can’t say I’m much of a fan of beer festivals as a customer. Standing around in a draughty municipal hall drinking warm, flat beers that I’ve never heard of doesn’t really appeal. I’d much rather have a cool, tasty pint of something familiar in a cosy pub. 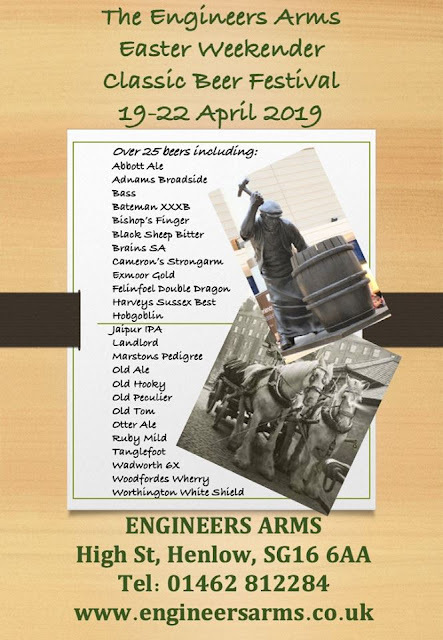 However, my attention has been drawn to a beer festival with a difference being run by the Engineers Arms at Henlow in Bedfordshire. This is basically a selection of classic ales from well-known, accomplished breweries. There certainly aren’t any duds on that list. While it might be argued that many are pretty familiar, how true is that in practice? When did you last even see Double Dragon or Tanglefoot on the bar, let alone actually try one? And there are only two permanent Bass outlets in Bedfordshire. Clearly a beer festival isn’t going to get far if it just offers beers that are already widely available in the local area. But it could be argued it needs some points of reference for customers to latch on to, such as special editions and one-offs from familiar brewers, or beers they’re likely to encounter when visiting other parts of the country. If all they’re presented with is a long list of beers that they have never heard of before, and are unlikely to ever get the chance to purchase again, they may not be too impressed. Perhaps this very obscurity is one of the reasons behind the decline in festival attendances over the past few years. Maybe more pubs and festival organisers should try this sort of thing. You never know, it might even catch on. If Henlow was a little bit nearer I would certainly be tempted to pay a visit. On February 1st, there was another small turn of the anti-drink ratchet when a new higher band of cider duty was introduced for products between 6.9% and 7.5% ABV. The detailed duty rates can be seen on the HMRC website. This passed with surprisingly little comment. As in other cases I’ve mentioned recently, the ostensible objective was to tackle products supposedly favoured by problem drinkers, specifically white cider, but as always it is impossible to come up with a watertight legal definition so everything ends up being hit. I don’t routinely visit any retailers who stock Frosty Jack’s or other brands of white cider, so I can’t say whether it has had its strength reduced. However, looking at other products on the shelves, the strength of a 750ml bottle of Merrydown Original has been cut from 7.5% to 6.8%, while Aspall Premier Cru has fallen from 7.0% to 6.8%, which is pretty trivial and a bit of a no-brainer really. The Merrydown does have some “bangs per buck” appeal, but the Aspall is undoubtedly positioned as a premium product. 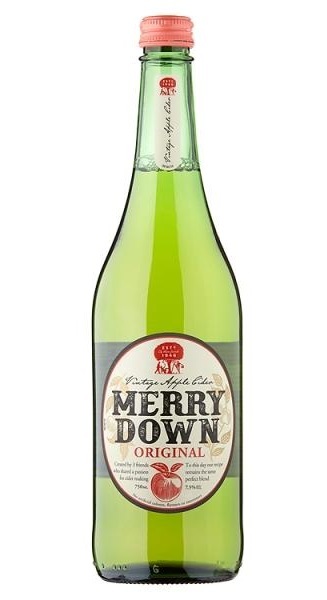 Incidentally, the Merrydown bottle has a screw cap, so even though it still contains 5.1 units of alcohol it won’t fall foul of the Portman Group. Other premium bottled ciders are unchanged, so Thatchers Vintage remains at 7.4% for now, and Weston’s Old Rosie at 7.3%, while Henry Weston’s Vintage, which even before was in the highest band, is still proudly at 8.2%. But, as with beer, the financial attraction of making products at these higher strengths is going to diminish over time. And what’s the betting that, before too long, the threshold for Higher Strength Beer Duty will see a similar reduction? The Morning Advertiser has recently reported how pubs have grown to rival restaurants, with no less than seventeen now possessing Michelin stars. This is presented as though it is unalloyed good news, but should it really be seen as an entirely positive development? Of course it is a truism to say that many, perhaps most, pubs would struggle to survive without serving food of some kind. However, there is a huge difference between offering snacks and functional food for people who are already in the area, and setting yourself up as a destination dining venue that people will make a special trip to visit. I have written before how developing a destination food trade will, over time, tend to drive away other classes of customer. And that’s not just “drinkers” in a narrow sense, but anyone else who wants to partake in an activity other than eating, such as various sports, pub quizzes and meetings of clubs and societies. If you don’t feel at home if not dining, you will stop going. 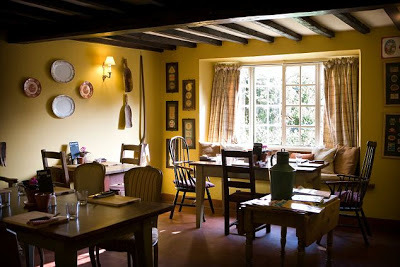 While it may still have the outward appearance of a pub, it has in functional terms turned itself into a restaurant. In effect, it has sold its soul to continue in operation as a business. And is becoming a high-end gastropub really all that different from metamorphosing into an Indian restaurant or a convenience store? It certainly is unlikely to be much of a resource for its local community. One of the Sunday papers recently ran a feature on the best pubs in Britain, and it was taken as read that each one would have, not a signature beer or cider, but a signature dish. A generation ago, that would have been unthinkable. In the early days of this blog, I asked whether it would have been better all round if pubs and restaurants had gone their separate ways. Of course, that particular ship has long since sailed, but I can’t help thinking it’s still just as true today. Incidentally, for those reading this on a mobile who can’t see the sidebar, please cast your vote in my new poll on whether you’re really more interested in the pub or beer experience in pubs.